"We have expert ornamentation, for the design and manufacture of different types of projects that require to work in stainless steel. 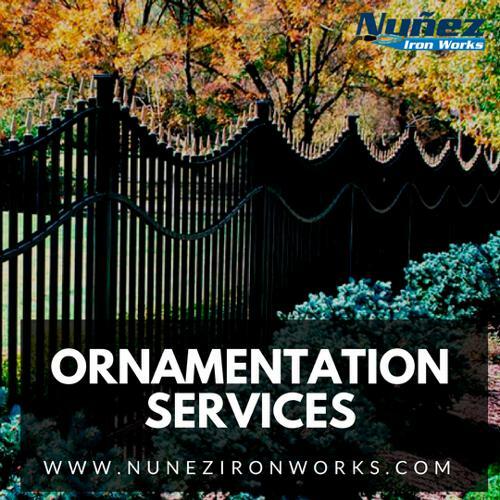 Our robust stainless steel ornamentation service not only includes the highest quality materials, but also services that are tailor made and taking into account all the specific needs that the customer needs to cover in its entirety. With flexibility, punctuality, first-rate quality and the most select materials, we work to bring your projects into practice. According to your needs, we work stainless steel, corten steel, iron and brass. 3314 S Lawndale Ave,Chicago, IL 60623, EE. UU."